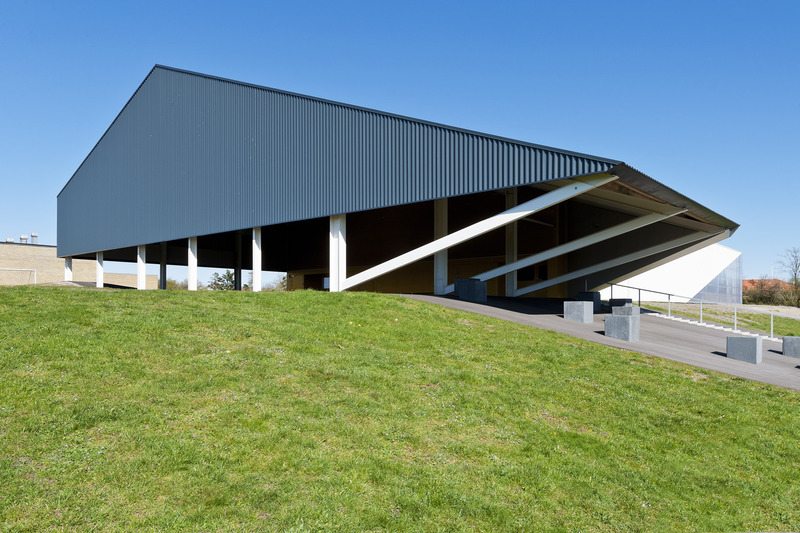 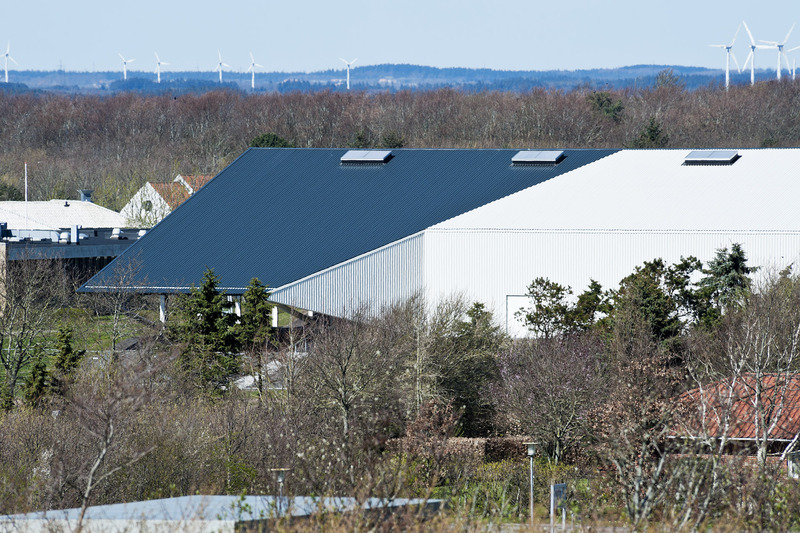 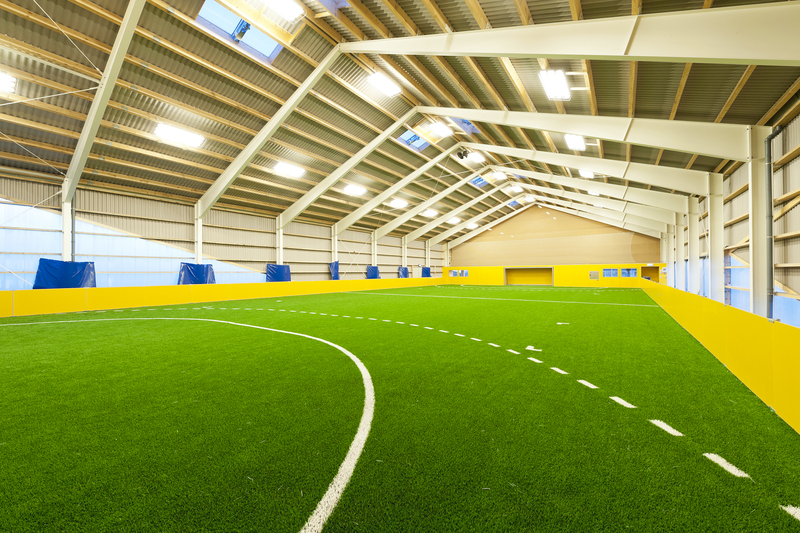 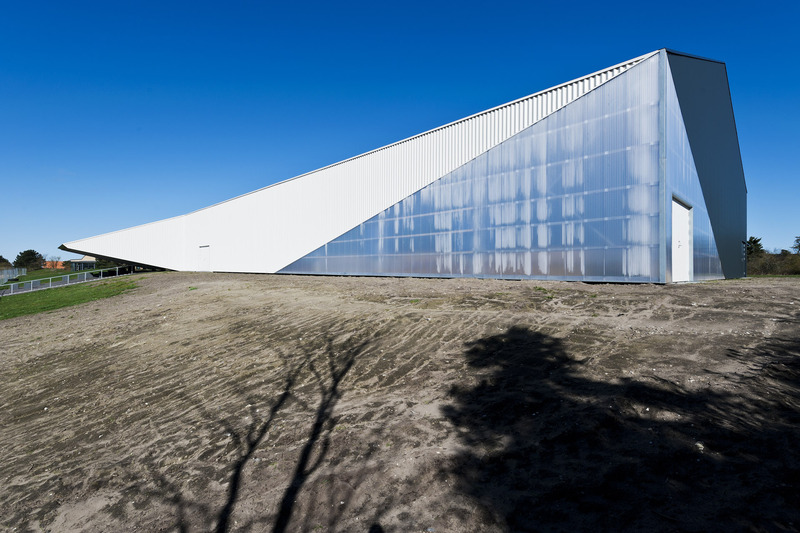 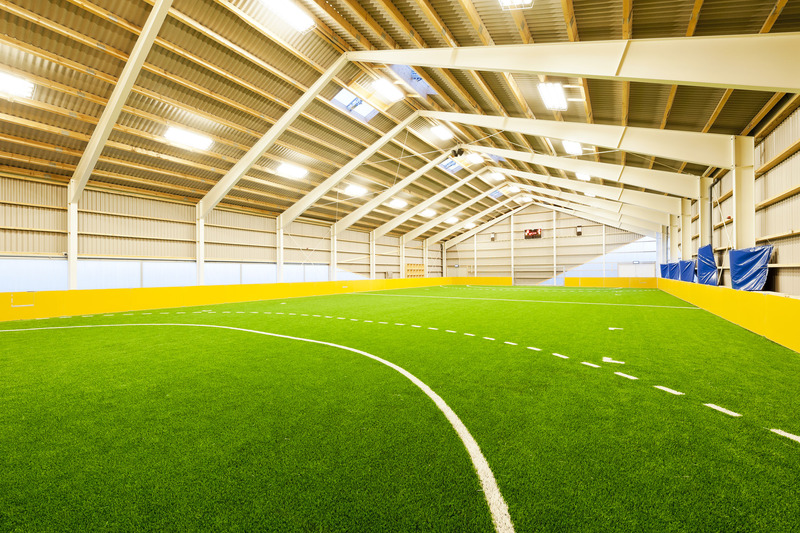 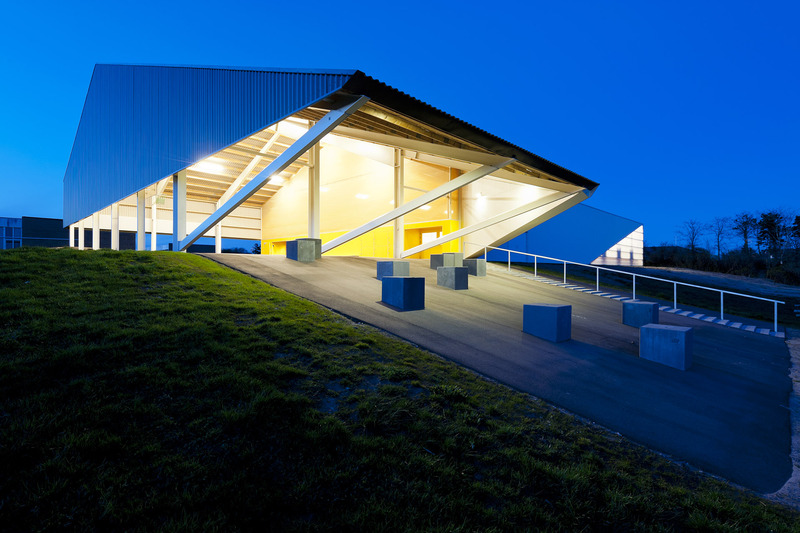 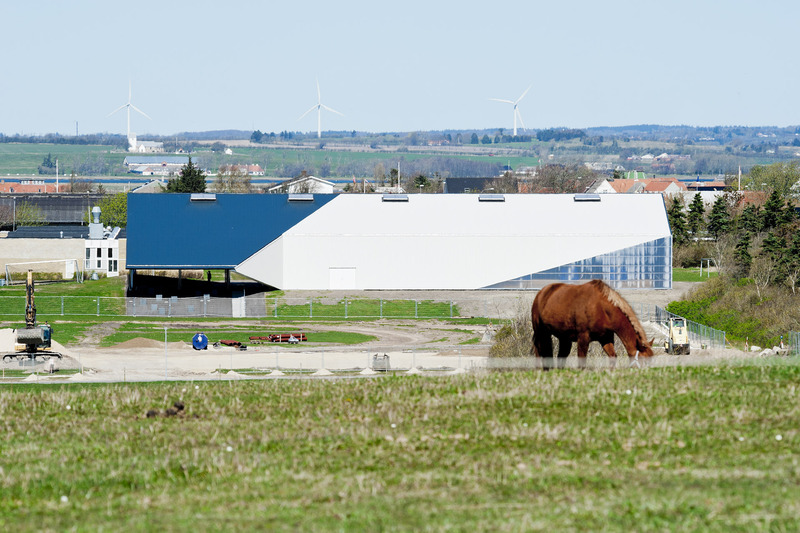 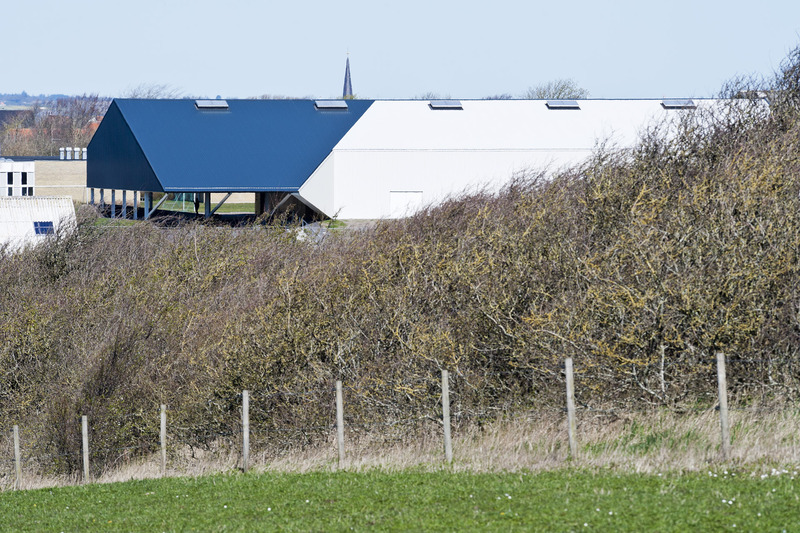 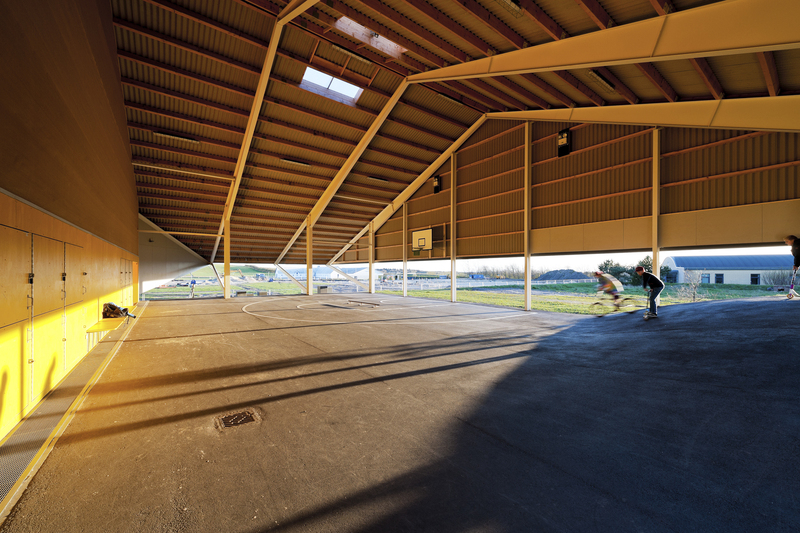 This project in the town of Løgstør in Northern Denmark is based on CEBRA’s Meccano concept for unheated, low-cost and lightweight sports halls, developed in collaboration with Lokale og Anlægsfonden (the Danish Foundation for Culture and Sports Facilities). 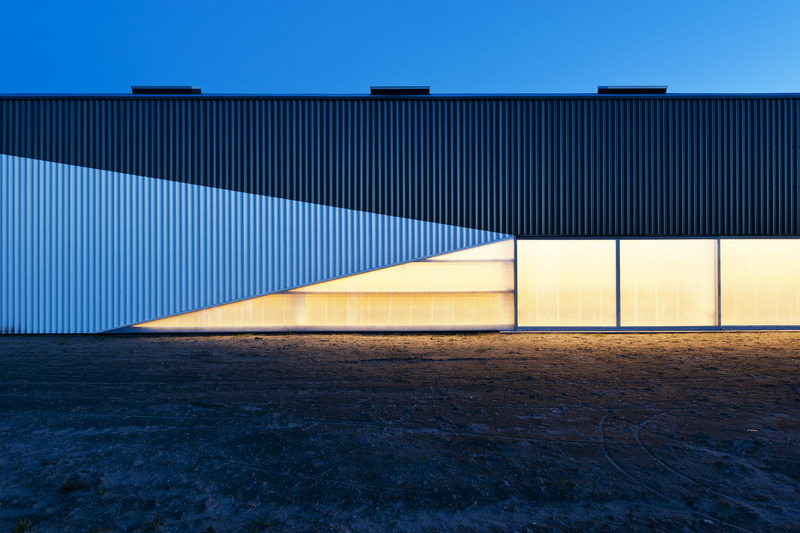 The concept uses construction principles and elements otherwise known from industrial buildings and warehouses – that is standardised off-the-shelf components. 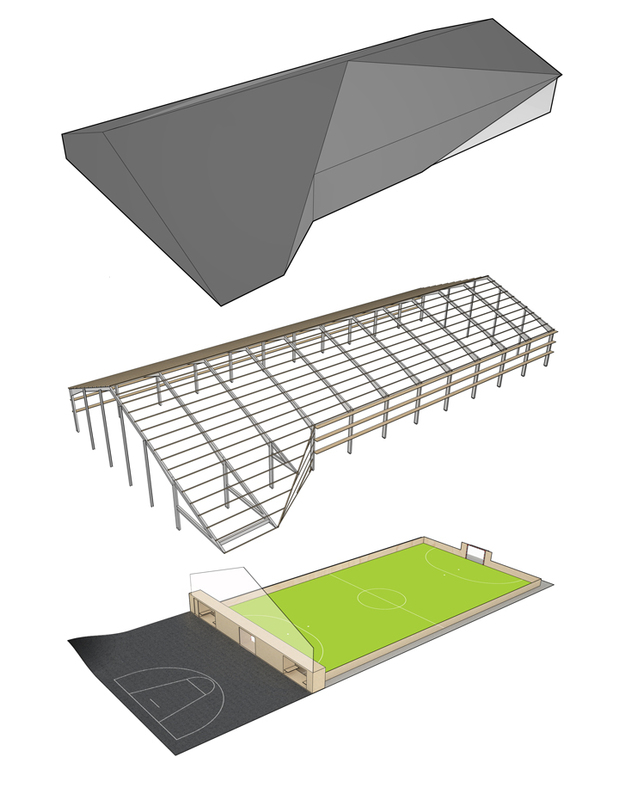 The idea is that these simple elements can be refined and combined in new and surprising ways – just like the Meccano model construction system – in order to create architecturally appealing, accessible and easily adaptable sports facilities, which are cheap to build and maintain. 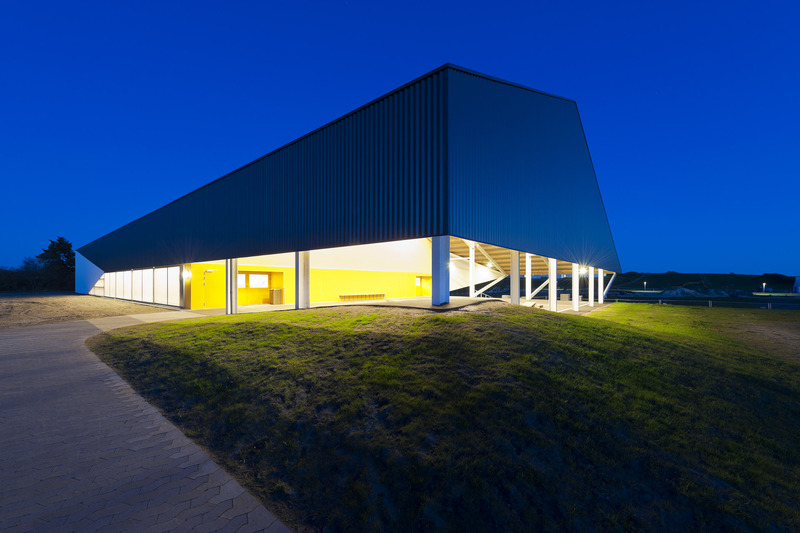 The new sports hall is located close to the local school in the southern part of Løgstør and is the first visible step towards the realization of the sports, culture and health development Lanternen (The Lantern). 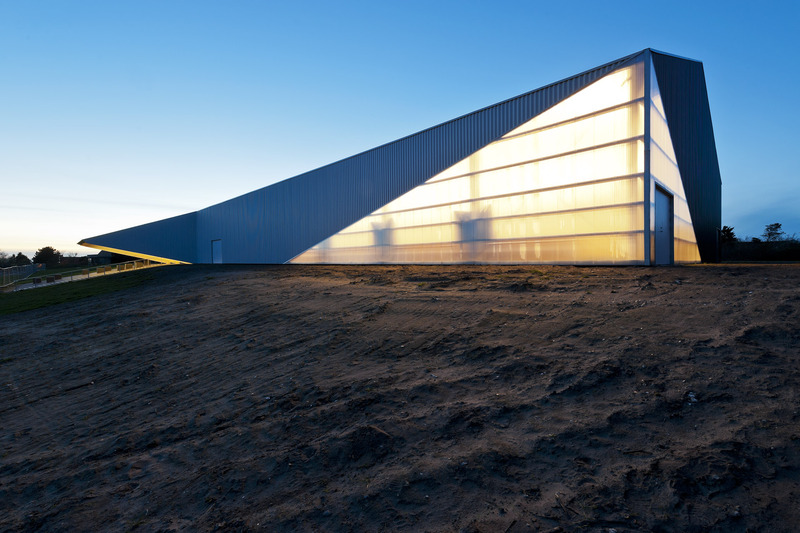 The construction is wrapped in a thin skin, which opens the building towards its surroundings and contributes to its light and partly translucent expression. 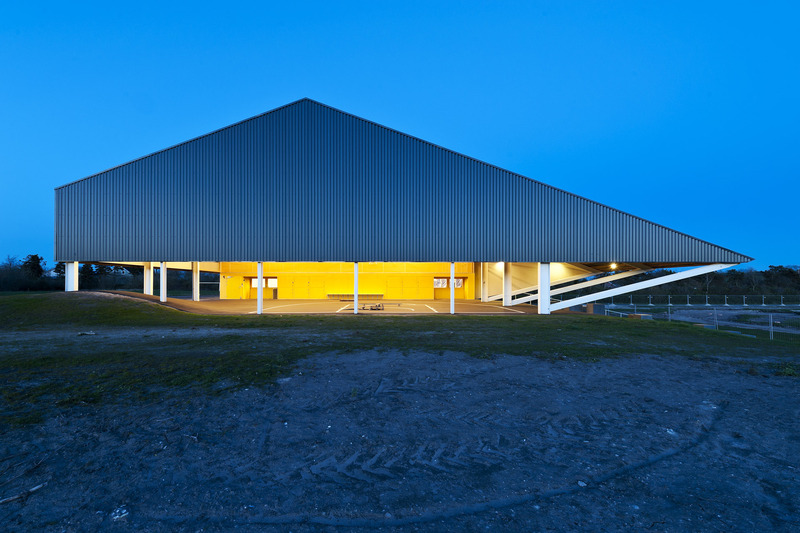 This formable outer shell is pulled, cut and folded in order to create a projecting roof over the entrance and openings for inflow of daylight – much like an origami paper figure.